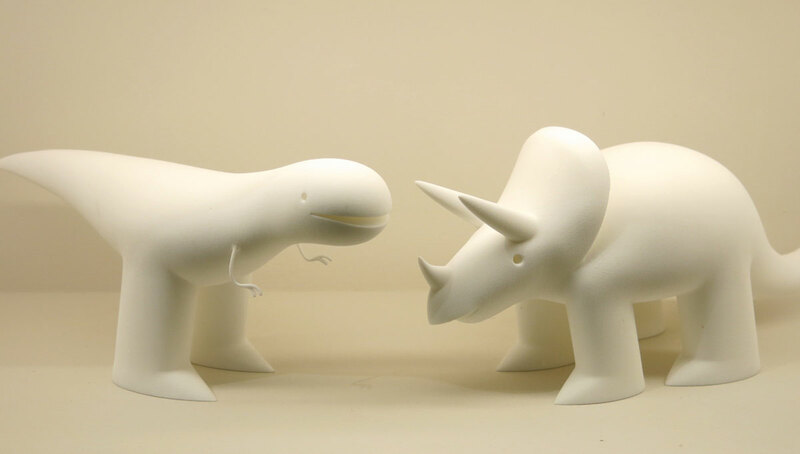 I stumbled upon the work of animator and illustrator Jack Cunningham the other day, when I saw 3D prints of his dinosaurs featured on CoolHunting. So I went looking for more, and I found his tumblr, which is full of pictures but almost devoid of words. And then I found…nothing. So I really don’t know who Jack Cunningham is, where he’s from, or what his favorite color is, but I guess he likes dinosaurs. 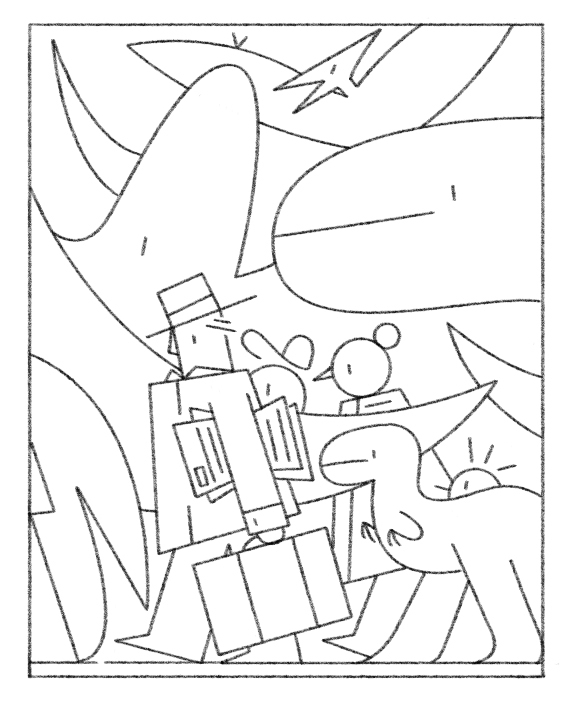 This drawing of people and dinosaurs on a busy city street made me wonder what life might be like if events had taken a different turn 65 million years ago. This entry was posted in The Art of Science and tagged Dinosaur Art, Jack Cunningham, PaleoArt, sciart, science art. Bookmark the permalink.